Waterfront living await in this LAKEFRONT 3 bedroom END UNIT that features 4 additional windows to usher in a flood of natural light. These desirable 2nd floor units offer vaulted ceilings awesome breezes & unparalleled water views. The SW facing lanai boasts amazing nighty sunsets-free of charge. This comfortable home has been lovingly maintained & owned by the same family since purchased new. Bright & cheerful neutral colors are found throughout your new Florida home. Not crazy about the typical stack washer/dryer found in so many condos, you'll love the utility room with full size washer/dryer ample storage & hosts a newer (2015) A/C. The kitchen offers a breakfast bar, eat-in nook & a full complement of appliances. The ownerâs suite features those same amazing lake views thru a wall of windows, a spacious walk-in closet & master bath with easy entry tiled shower stall. The maintenance-free condo lifestyle comes complete with a heated community pool, clubhouse, fishing pier with lowered kayak launch and a gazebo on the lake. Maintenance fees of $222 per month include your water & sewer as well. Fishing kayaking & golf all can be found in the Lake Suzy community. If walking is what you enjoy thereâs a walking path surrounding this lakefront community. 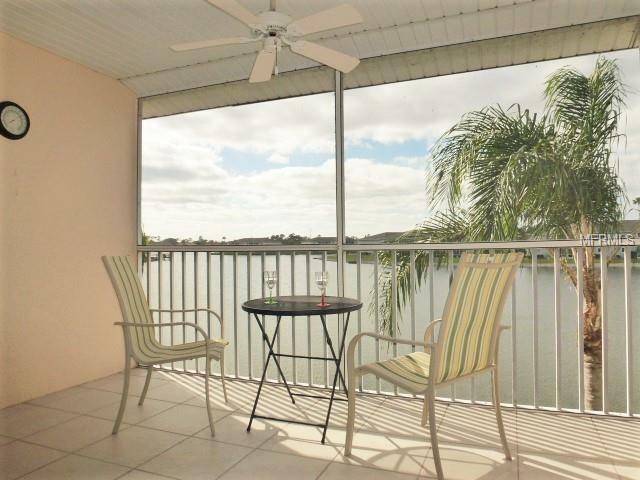 Situated midway between Sarasota & Naples, just minutes to Punta Gorda, easy access to I-75 restaurants & shopping, Lake Suzy offers all you need in a quiet setting away from the crowds. Start living the maintenance-free Florida lifestyle today.